THE KING OF FIGHTERS '96 is a fighting game released by SNK in 1996. A total of 27 playable characters are available. New game mechanics such as the Emergency Evasion, short and mid-hops make their entry for the first time in the legendary Series, adding a new depth to the fights. The story focuses on the second chapter of the Orochi trilogy. ACA NeoGeo The King of Fighters '96 was released on Switch 484d ago in the UK. 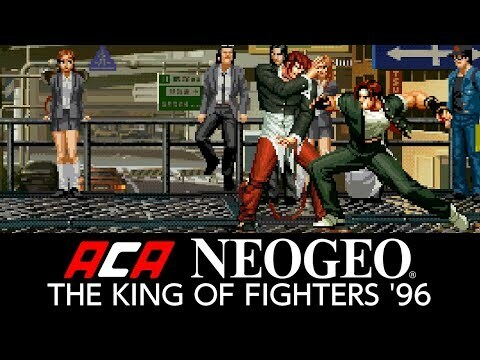 Based on 1 ACA NeoGeo The King of Fighters '96 review, ACA NeoGeo The King of Fighters '96 gets an average review score of 70. If you're interested in the ongoing story then The King of Fighters '96 is still a competent fighter, and there's plenty of entertainment to be had in its hand-drawn brawls.